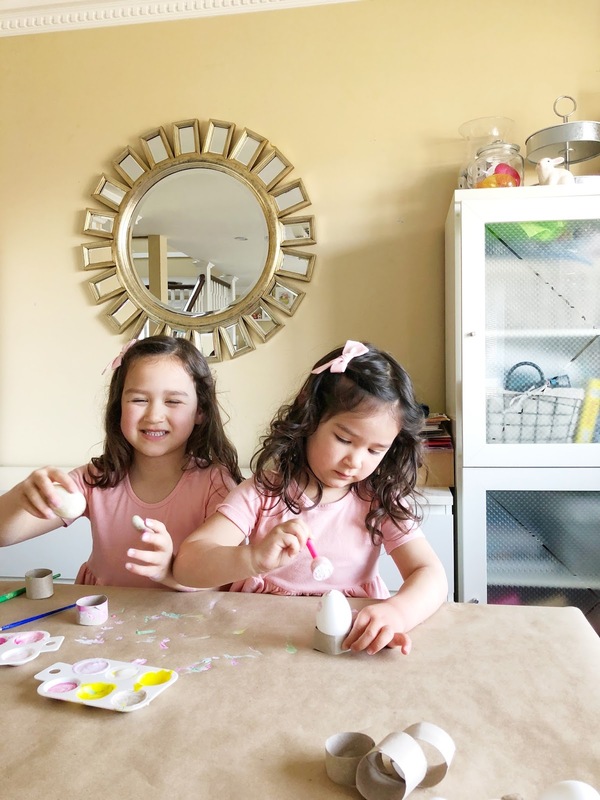 Petite Littles Everyday: PAINTING EGGS! 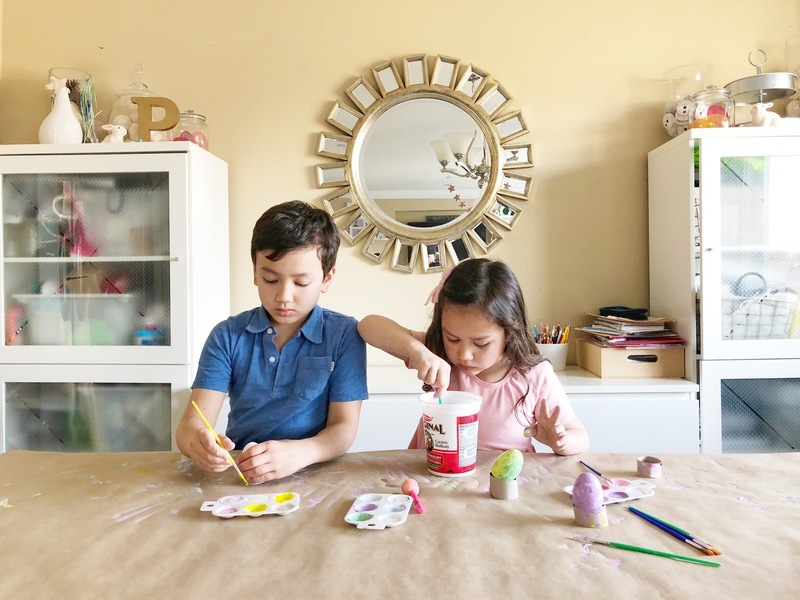 We decided on a little last minute Easter egg painting which was super fun and turned out wonderfully! 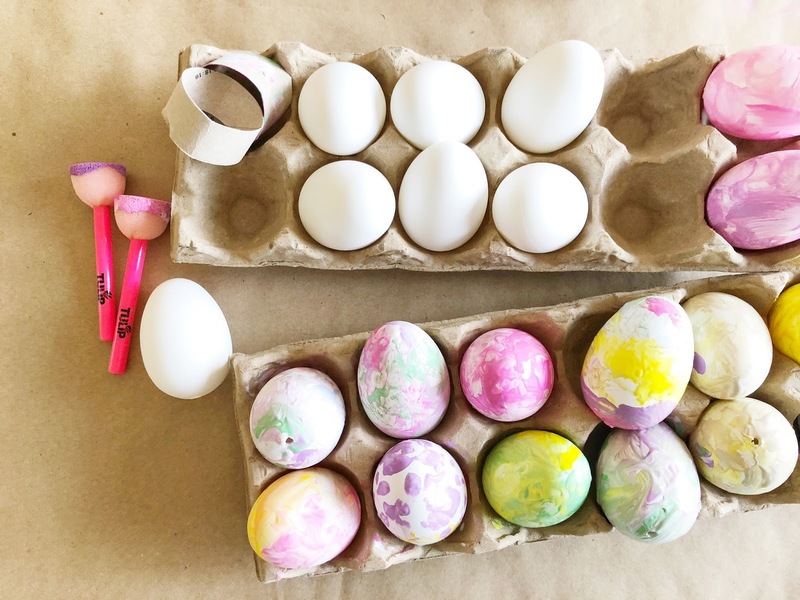 Although I love seeing the process of painting and dyeing real eggs - I felt like this was a little too much work for me. I got 2 packs of paper eggs from the dollar store and it was the perfect craft for the afternoon. Pastel Colours only! 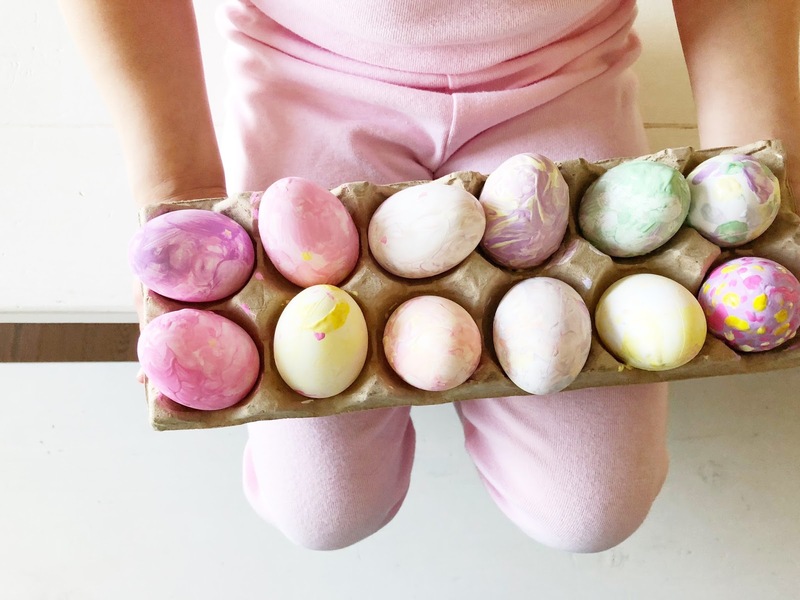 I love the look of soft pastel eggs. So when choosing the colours for the paint, I made sure to only use very light shades. 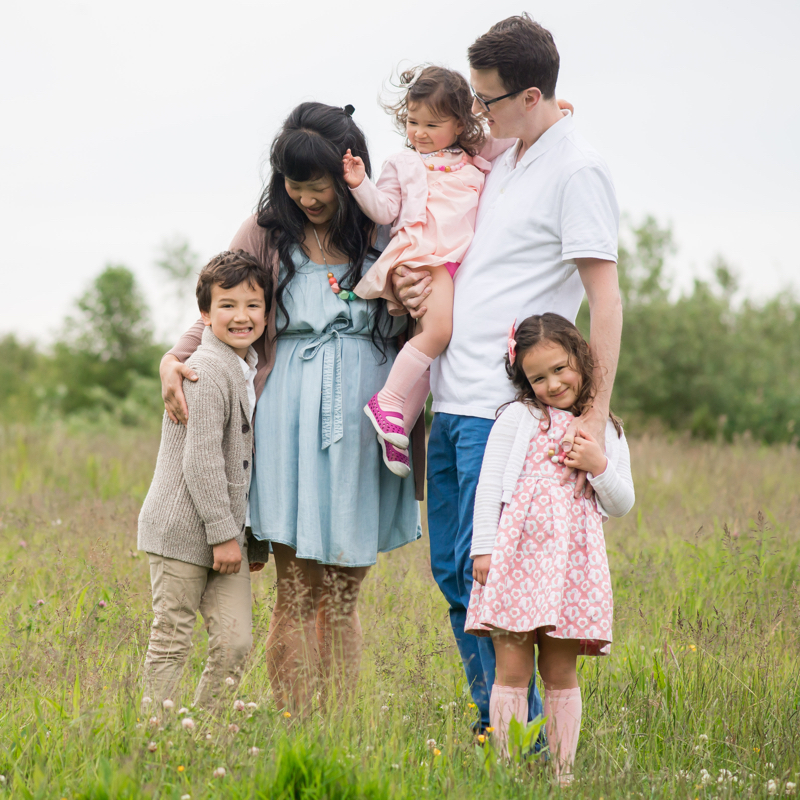 If you don't have many pastel colours, just add lots of white and a dab of colour to change them. I had pink and purple already, but I added white to the rest of the colours to keep with my palette. And I love how they turned out! Cover your table! 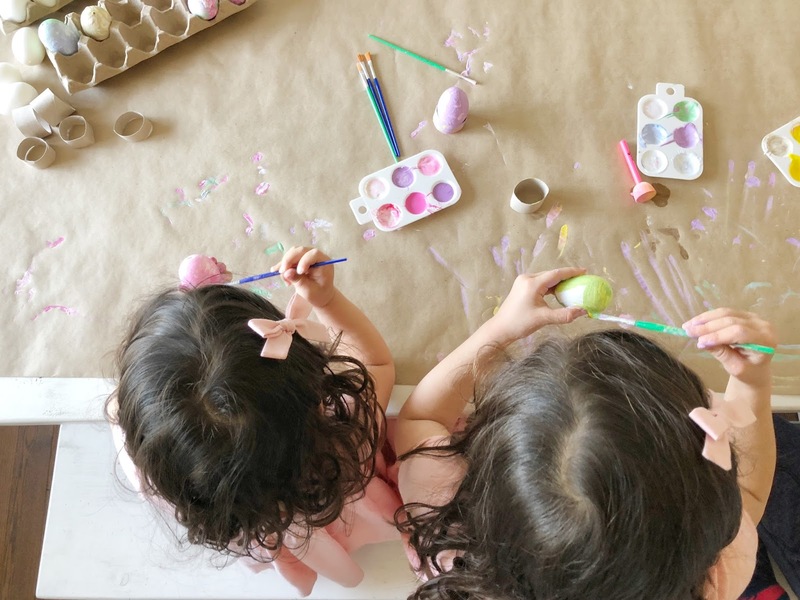 When I know I'll be doing a messy craft, I love putting kraft paper on my table to keep the mess contained. And when the craft is all done I just roll it back up and reycle it. Makes the clean up so easy! Make a little stand for your eggs! 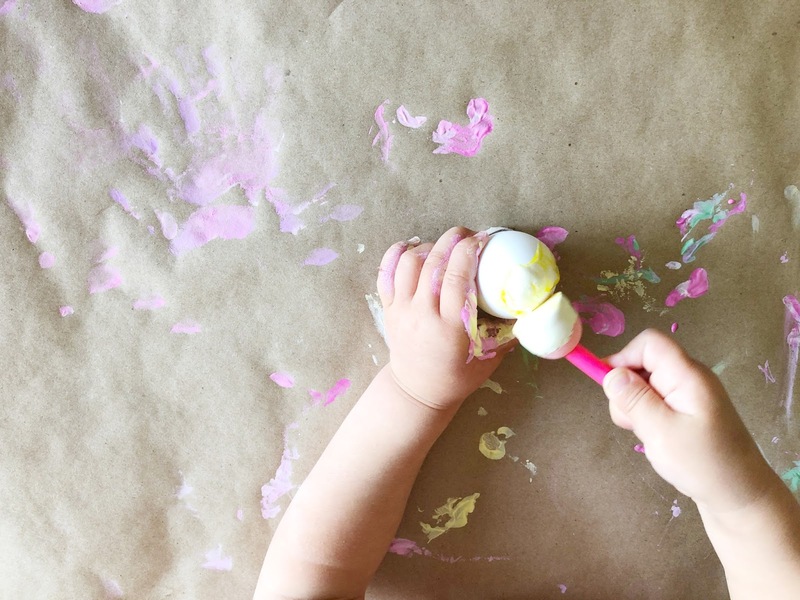 Those little rounded eggs can get really slippery with all the paint. A simple tip is to cut a toilet paper roll into 4 pieces and use them as little stands for your eggs.